Immune function and the activity of T cells naturally declines with age, but daily supplements of a mixture of the four types of tocotrienol led to improvements in the T cell function in old mice, according to findings published in the Journal of Nutrition. “This is the first study, to our knowledge, reporting that tocotrienol enhances T cell function,” wrote the researchers, led by Dayong Wu from the Jean Mayer USDA Human Nutrition Research Center on Aging at Tufts University. After six weeks of supplementation, lymphocyte proliferation was significantly increased in the older mice who received the tocotrienols, compared to old mice eating a normal diet. Tocotrienols are only minor components in plants, although several sources with relatively high levels include palm oil, cereal grains and rice bran. 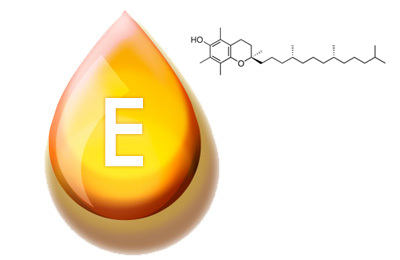 While the majority of research on vitamin E has focused on alpha-Toc, studies into tocotrienols account for less than one per cent of all research into vitamin E.
The researchers explained: “Tocotrienol have been viewed as “minor” forms of vitamin E because: 1) their natural sources are very limited and it is impractical to obtain a biologically meaningful amount by consuming whole foods; 2) their metabolic fate is poorly understood; 3) their negligible tissue concentrations disqualify them as a major dietary antioxidant; and 4) their biological effects have been much less demonstrated relative to their tocopherol cousins. “However, increasing evidence has suggested that tocotrienol have notably distinct biological properties not shared by the tocopherol family,” they added. Wu and his co-workers divided young and old mice into two groups: Both age groups received either the normal diet or a diet supplemented with a tocotrienol/soybean oil mixture. The tocotrienol ingredient used in the study was Carotech’s Tocomin mixed tocotrienol ingredient. Initial tests showed that the lymphocyte proliferation – the ability of immune cells to reproduce – was lower in older mice than their younger counterparts. After six weeks of supplementation, however, lymphocyte proliferation was significantly increased in the older mice who received the tocotrienols, compared to old mice eating a normal diet. There were no differences observed between young mice groups, said the researchers. Unlike results from tocopherol experiments, tocotrienols were not found to affect levels of levels of interleukin-2 (IL-2) or prostaglandin E2 (PGE2), “suggesting that the 2 families of vitamin E do not have a similar effect on all aspects of immune cell functions”, said the researchers. “While further studies are needed to determine the mechanism of tocotrienol and its relative efficacy compared with tocopherols as well as its clinical implications, the data described here present novel findings showing for the first time that tocotrienols enhances T cell function, particularly in old mice,” concluded Dr Wu and his co-workers.